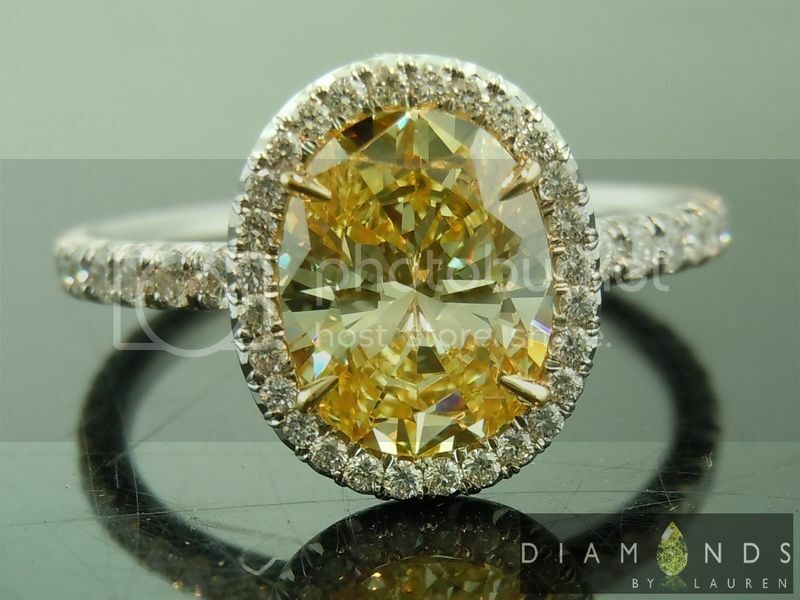 This is an exceptional stone by any measure. The stone was sitting in someone's dark safe for a long time. We rescued her. 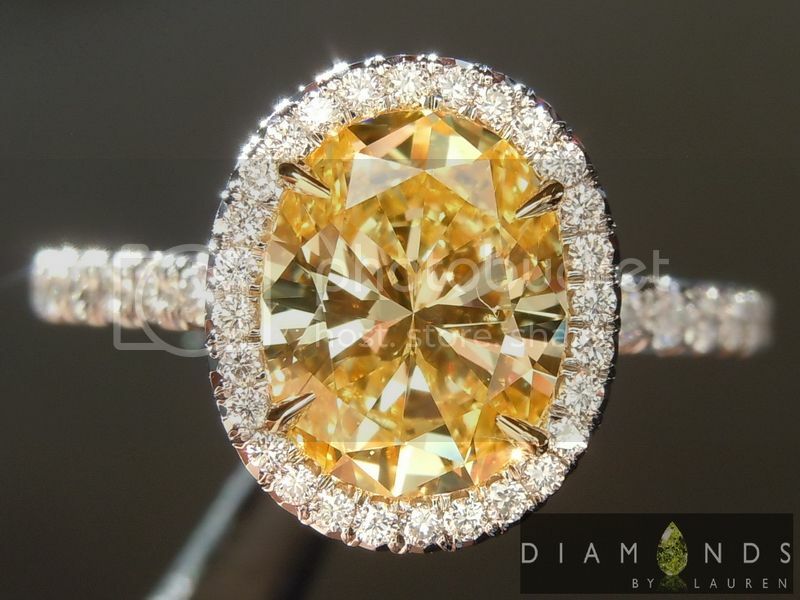 The first aspect of this canary diamond which is so remarkable is the color. 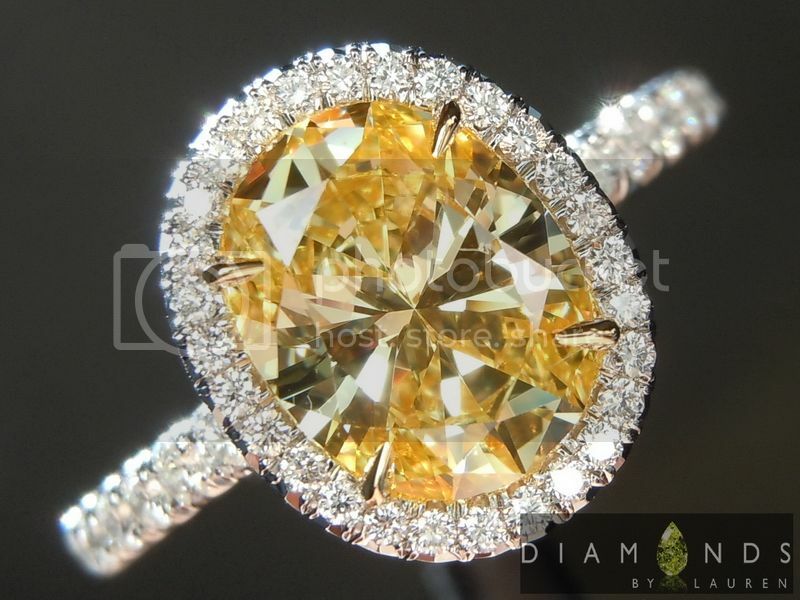 GIA graded the stone fancy intense yellow back in 2001. 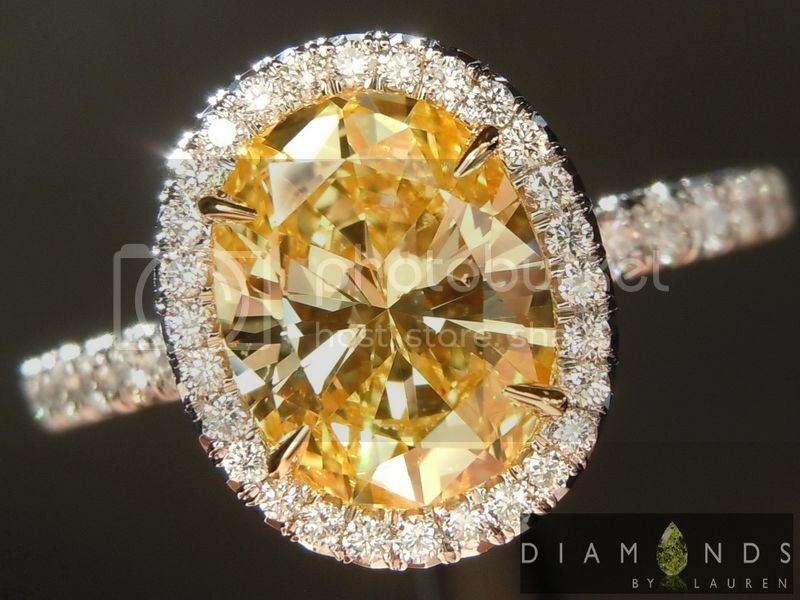 The color is a very strong intense yellow – if it even is intense by current standards. The color is very pure and true. Then we have the cut – also exceptional. 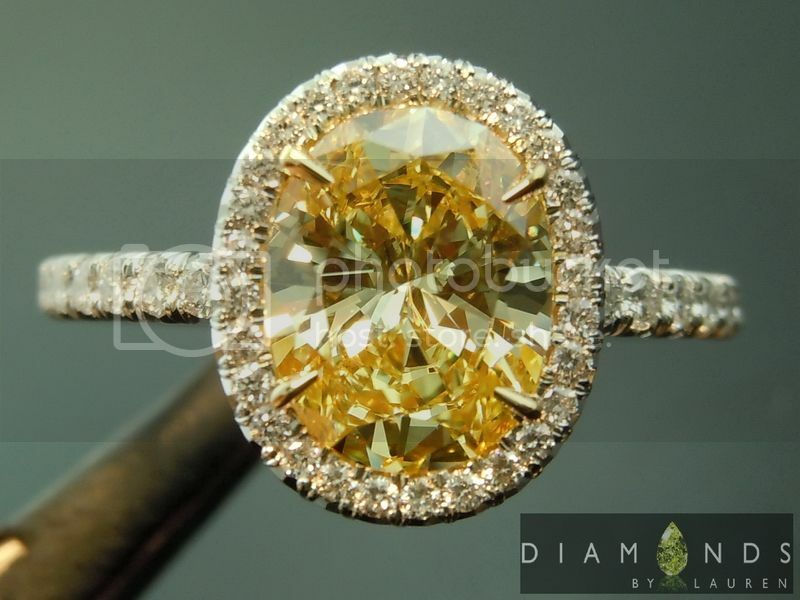 The stone is an "Oval Brilliant" as opposed to the more common "Oval Modified Brilliant". 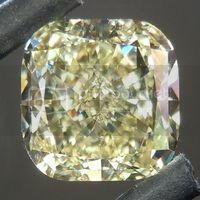 The difference has to do with the way the light bounces around inside the diamond before it comes back out to your eye. 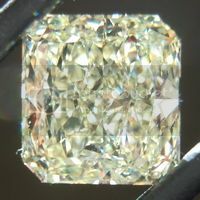 In the case of this diamond, you can see that there is more color at the top and the bottom – the middle, is very bright. I do not regard this as a negative "bowtie" as the stone is very good at doing its job a broadcasting a canary yellow color and brilliance at the same time. 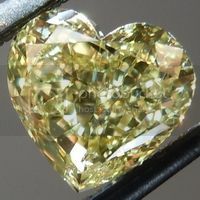 Plus, with a 60.3% total depth ratio this diamond is huge for its weight. 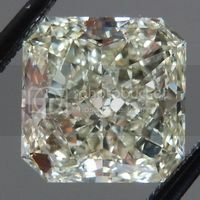 It looks like a 2 carat diamond. 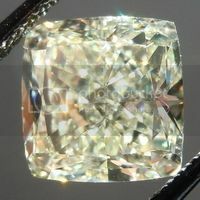 VVS1 clarity, it does not get any better than that. No florescence. 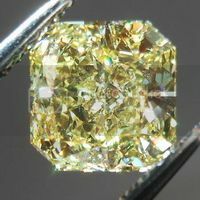 1.49 cts is a great weight. 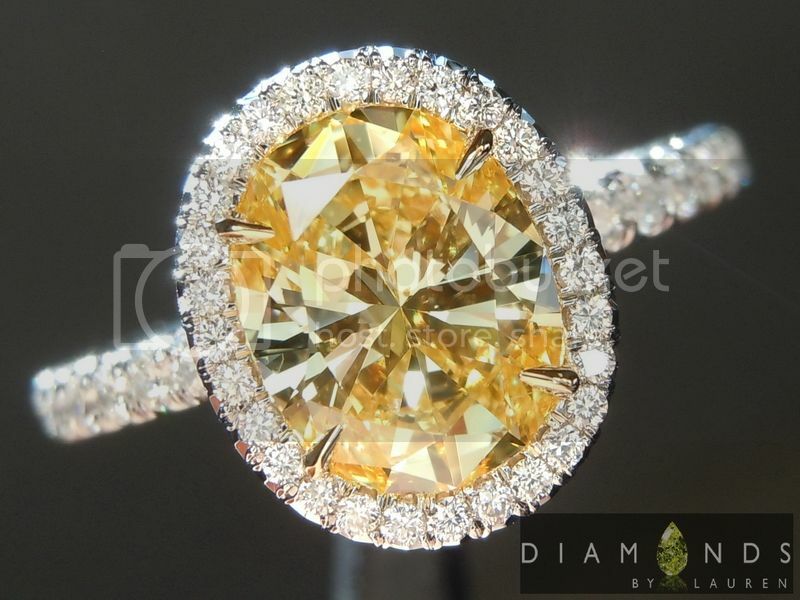 You can tell the cutter wanted to get the stone perfect. About that older GIA report. 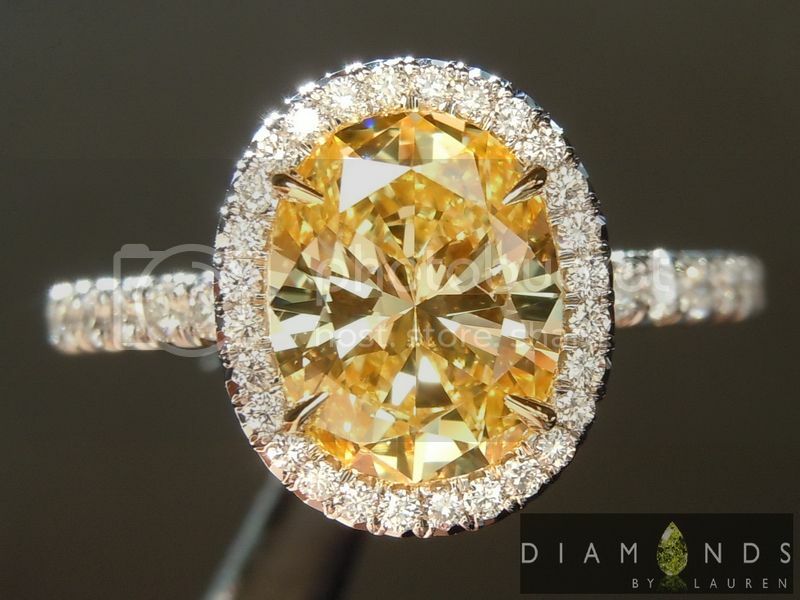 We will likely remove the diamond from the ring and submit the diamond again after the holidays. Who knows, it might even get Vivid this time. 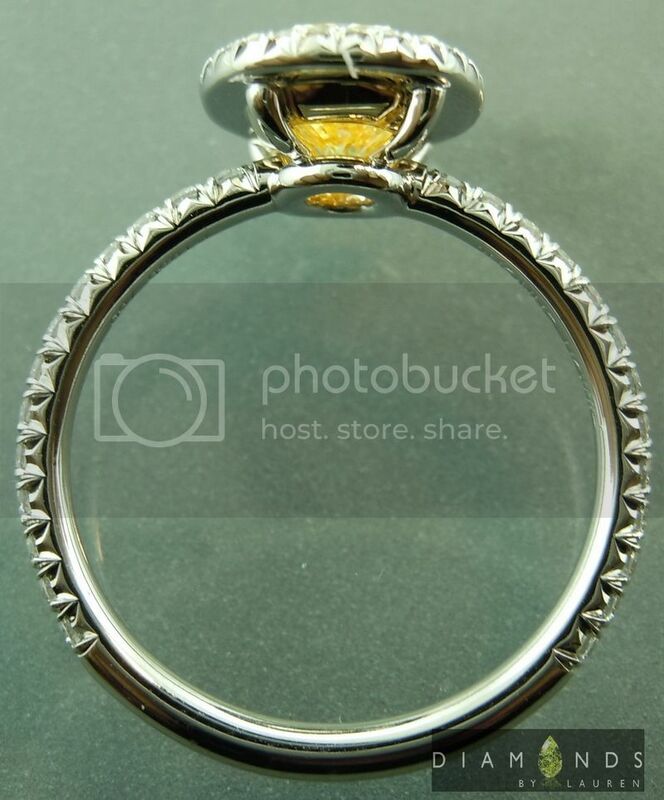 The ring is priced with the current report. 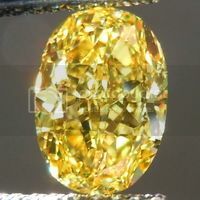 If the GIA does grade the stone Fancy Vivid Yellow, the price would jump by at least $10k. 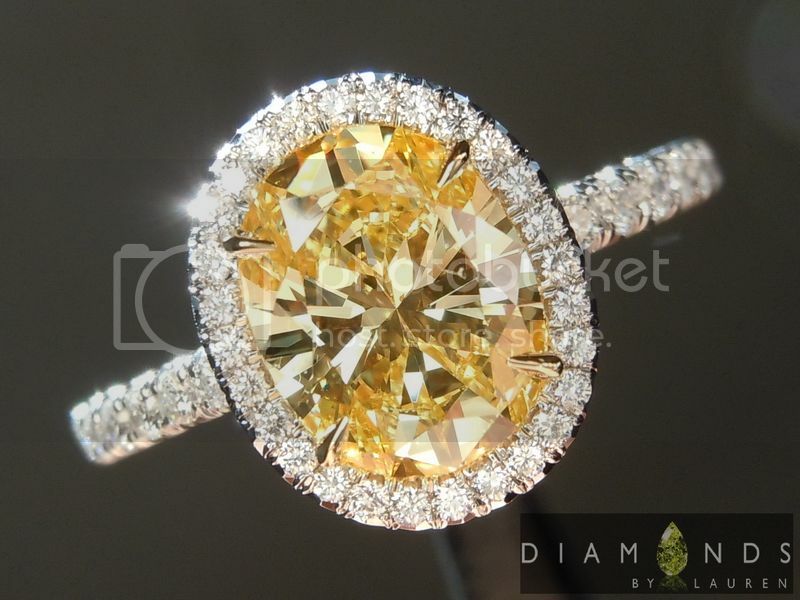 If you want to purchase the ring and have us submit on your behalf before we do, it can be arranged, though there will be $500 cost to cover the removal and resetting of the diamond, as well as the cost of the new GIA report. 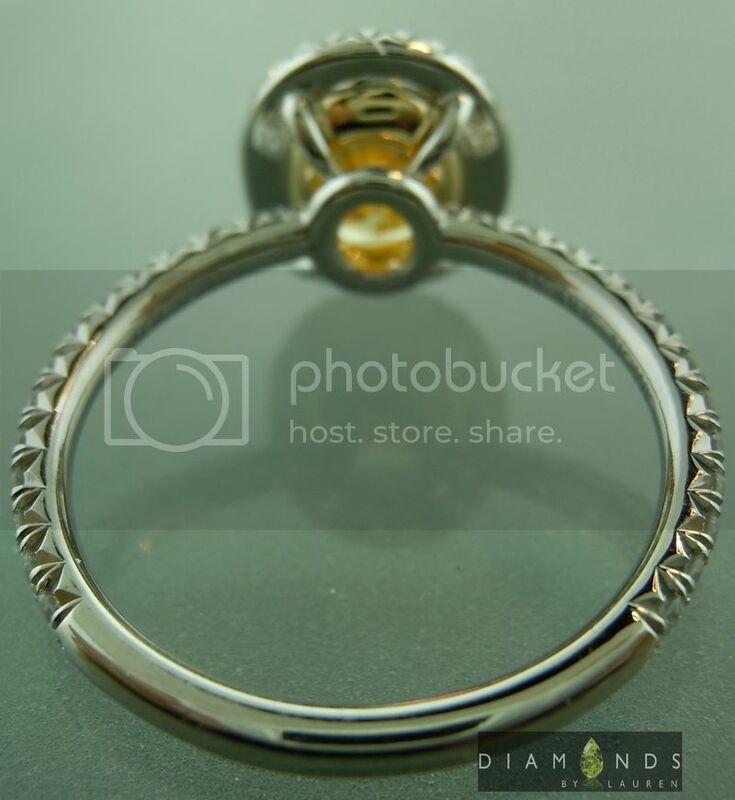 The ring is our top-of-the-line "Uber" model. Simplicity and design and perfection in execution. The halo is perfect. 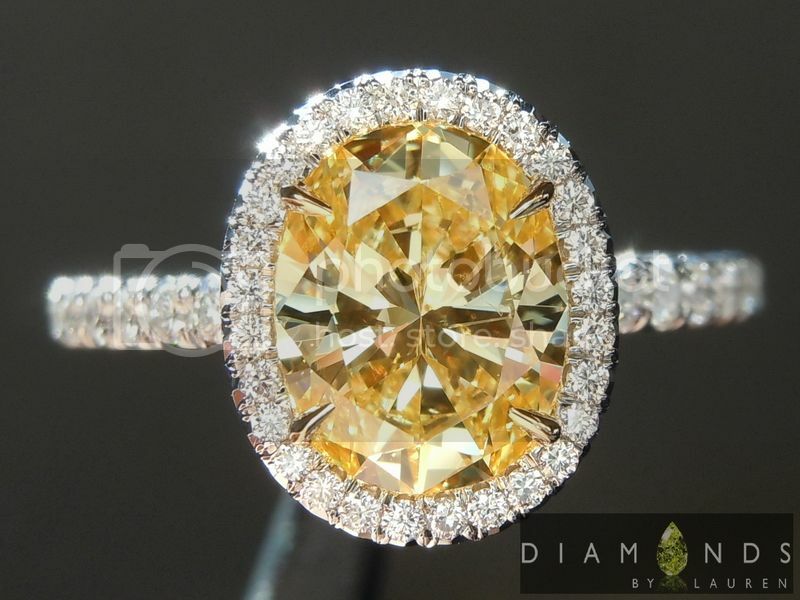 There is no gap whatsoever between the Diamond and the halo, which features minuscule pave stones. 1.8mm wide shank.